I want to write truthfully about God. I know many will find that an odd way to begin a letter about U.S. drone warfare, but I see no other way. After all, I am a Christian–I cannot hope to transcend that identity, nor do I think that attempting to do so is a worthy goal (especially for the sake of “objectivity”). Indeed, being a Christian inevitably means many things–it means being baptized, partaking of the Lord’s supper, and belonging to a community marked by the confession that Jesus Christ is Lord. Likewise, being a Christian means lamenting the violence carried out by those powers and principalities that coercively seek their own lordship over God’s good creation–powers and principalities like America. 1. Drone strikes are illegal (domestically and internationally), imprecise, and counterproductive. According to a recent study carried out by researchers at NYU School of Law and Stanford University Law School, drone strikes hit just 2% of “high priority” targets, often killing civilians instead. Indeed, America is responsible for killing nearly 5,000 people with drone technology (several hundred of which were children). The study also confirmed America’s use of egregious strike techniques (see: “double tapping” and “funeral strikes“) in order to kill individuals suspected of terrorism. All of this has led to significant opposition from citizens (especially in Pakistan) in what some have called a kind of “recruitment program” for terrorism. Has Liberty University considered how these factors might undermine America’s interests? More importantly, have you considered how these factors might compromise the integrity of the church? 2. Drone strikes necessitate complicity with untruthful media systems. How can the church–as a truth-telling institution–support the lies of the U.S. government and corporate media, especially when innocent lives are at stake? 3. 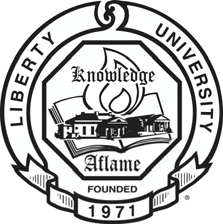 Liberty University assumes drone warfare as an ethical norm for Christians. Don’t get me wrong–I dislike just-war theory just as much as the next pacifist, but don’t you think that drone warfare demands some sort of philosophical and theological backing? Short of ambiguous and unhelpful appeals to “justice,” how has Liberty managed to reconcile drone strikes with the ethical teachings of our Lord Jesus Christ? How can the church support drone warfare and love our neighbors at the same time? How can the church support drone warfare and love America’s enemies at the same time? Ultimately, I oppose drones because Christ–through his obedience unto death–defeated the principalities and powers of this world. In so doing, he brought his Kingdom (with all its alternative politics) to earth. With expectant hope, the church is called to a patience and peace in accordance to Christ’s faithfulness that is made possible through the power of the Holy Spirit. As such, the church cannot participate in the violence of empire without undermining its calling–we are, as it were, to put faithfulness to Jesus before the effectiveness of the world. No doubt, many at Liberty University will reject my argument (that is, if anyone actually reads it). Nevertheless, I hope you will humor me by providing the theological reasons for doing so. After all, as the largest Evangelical school in the world, I would presume that you know how to talk about God. Tell me: who would Jesus drone? The following is an excerpt from a draft of my summer research paper on the “considerable disagreement” between James Gustafson and Stanley Hauerwas. In my paper, I also consider the corrigibility of Christian convictions and the ethical tensions between Christology and creation. a) That political activity is legitimated only by and through participation in activities that are facilitated by the state (e.g. voting). Such construals of the political process fail to recognize the church as an alternative polis that generates forms of political action unique to the Christian narrative and tradition. This failure is especially detrimental insofar as it undermines the church’s capacity to recognize and appreciate the political dimensions of prayer, liturgy, baptism, and the like. b) That there is some definite and/or universal agreement concerning the nature of social responsibility, what it requires, and/or how it might be “measured.” Ambiguities of this kind are almost always resolved by the tacit assumptions of those (like Gustafson) who charge others with social irresponsibility. Not surprisingly, these “tacit assumptions” are usually consistent with–or somehow related to–various kinds of consequentialism. c) That efforts to bring about a desirable result entail a social “involvement” and/or “activity” that is not demonstrated by those who seek to fulfill their moral duties prior to bringing about a desirable result. 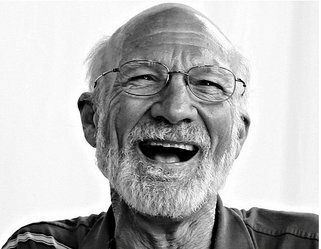 While the contest between effectiveness and faithfulness has yet to be decided after millenia of debate, the recognition that Gustafson and Hauerwas belong to different, and often conflicting ethical “camps” still remains a valuable philosophical distinction. Indeed, I suspect that many have identified the Hauerwasian ethic as an ethic of “withdrawal” precisely because they have not carefully considered the reasons why Hauerwas opposes the ethical determinacy of effectiveness. The crucial question is not whether the church should or should not be responsible for society, but rather what that responsibility is. It is surely being irresponsible if it attempts to change the world through the shortcut of using means unfitting to its ends. The church cannot attempt to become another power group among others in society that seek to dominate in the name of good…such a “withdrawal”…is based on the conviction that God has changed the essential reality of human affairs by his work in Christ. For the church to act in any way that contradicts this faith means that she has failed. Echoing Hauerwas here, I suspect that Gustafson’s charge of withdrawal does not actually reflect a concern about the presence of social involvement but the type. After all, worship, baptism, and the Lord’s supper are–peculiar as they may be–social and political practices. What stands to question is whether they are the kind of social and political practices that Gustafson thinks constitute a “responsible” social ethic. 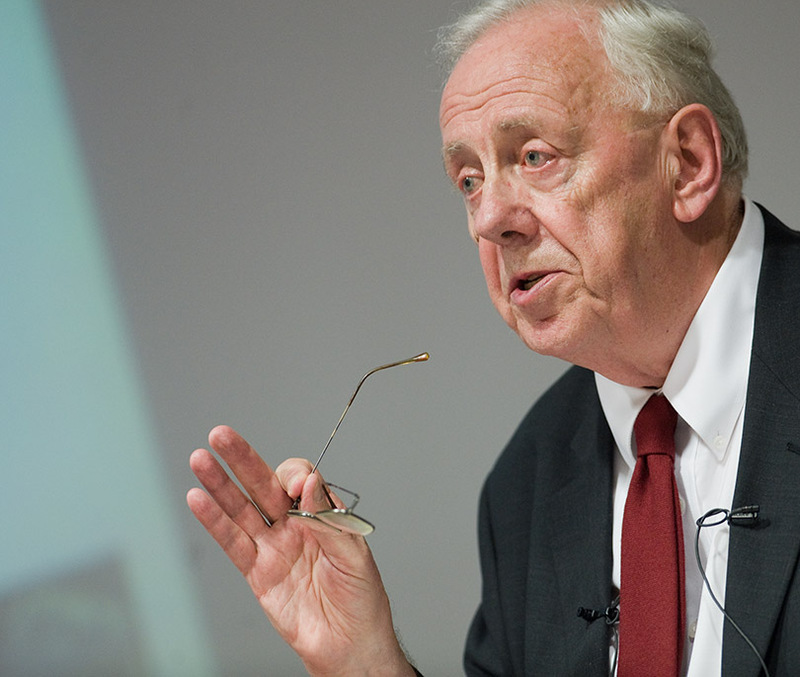 Ever since Alasdair MacIntyre’s After Virtue, tradition has been a central concern for many ethical, political, and religious thinkers. According to MacIntyre, contemporary ethical theories are fragmented and incoherent because communities today are working with ethical concepts that have been rendered unintelligible by temporal distance. As a result, MacIntyre posits that no one can provide real reasons for choosing the moral positions and values that they do. This “fragmented” condition fosters endless ethical debates, unable as we are to demonstrate why our own convictions are true (and others false). Indeed, even appeals to objectivity, rationality, and the like prove unpersuasive as the content of such terminology ironically varies from person to person and place to place. For MacIntyre, tradition–in this case, the tradition of Aristotelian virtue ethics–provides an alternative to modernity and liberalism (two cultural forces that have bolstered the moral “fragmentation” of our world). While the narrative of progress/capitalism reinforces the individualism of society, tradition inherently reinforces the sharedness of political life–the former (progress/capitalism) transforms pluralistic societies into ideological shopping malls, while the latter (tradition) requires that one’s convictions be received. Likewise, instead of entering into the contractual agreements of liberalism to protect atomistic individuals from harming each other, traditions are constituted by practices that must be learned from our neighbors for the betterment of our communities. Of course, this “new traditionalism” has been adopted by some of the most important theologians of our time–George Lindbeck, Stanley Hauerwas, and Hans Frei (to name a few)–and they’ve been considerably influential. As Jeffrey Stout has noted, seminaries are places where “the term ‘liberal’ is nowadays as unlikely to be used in praise of someone as it is in the arena of presidential politics.” Moreover, it seems that new traditionalists have successfully shifted the attention of ethical discourse from “me” to “us,” and from “justice” to “Jesus,” in an attempt to recover the particularity and content of Christian ethical convictions. Such efforts have proved especially effective given the freedom that the church has been granted to claim its materiality in a post-Christendom world. 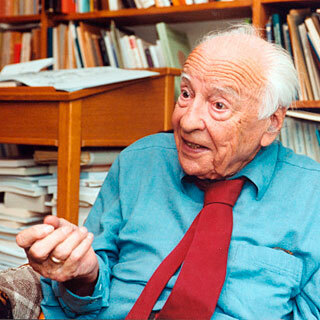 In Gerog-Hans Gadamer’s magnum opus Truth and Method, Gadamer introduces the idea of a “horizon of meaning”–that is, a framework for interpretation. According to Gadamer, this framework is made up of assumptions, prejudices, and presuppositions that both enable us to understand the world and limit our capacity to see it according to our historical situatedness. A horizon of meaning, then, is the perspective of an individual according to the various ways that they have been shaped to interpret reality. Indeed, it is observations like this one that have led us to understand the post-modern cliches regarding the impossibility of objectivity. one simply ignores temporality and the historical distance that separates one from the past, and more importantly from Gadamer’s point of view, one ignores the wealth of historical events, associations, and relationships that have affected its meaning. 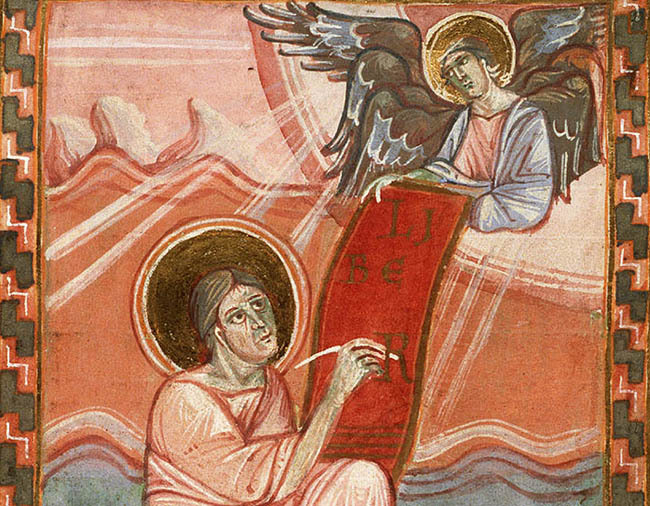 The result is that once again, one allows one’s own prejudices to prevail unchecked–in this instance, not because one remains wedded to one’s own projects and ideas without recognizing their thickness or historicity but rather because one simply takes one’s thick prejudices for the original meaning of the text [tradition] itself. I admit that this observation–if it is correct–could potentially put the church in a relativistic pickle/spiral (and I have no clue how to resolve that concern). Christians as just-warriors and as pacifists, as particularistic and as universalist, as liberal and as post-liberal have supposedly received the same story–but we’ve interpreted it, too. As such, those who appeal to tradition as an alternative philosophical framework that is free from the modern trappings of “rationality” should take care to ensure that they aren’t perpetuating outmoded hermeneutical assumptions. We might even start with some familiar questions: namely, Whose Jesus? Which tradition? Summer, 1964. Photo by Molly Malone Cook. Over the past several years, poetry has been low on my list of priorities. Honestly, I’ve no idea why. Although I have lived with wonderful people who appreciate and share poems frequently, it wasn’t until (very) recently that I grew to understand and know the joys it can bring. 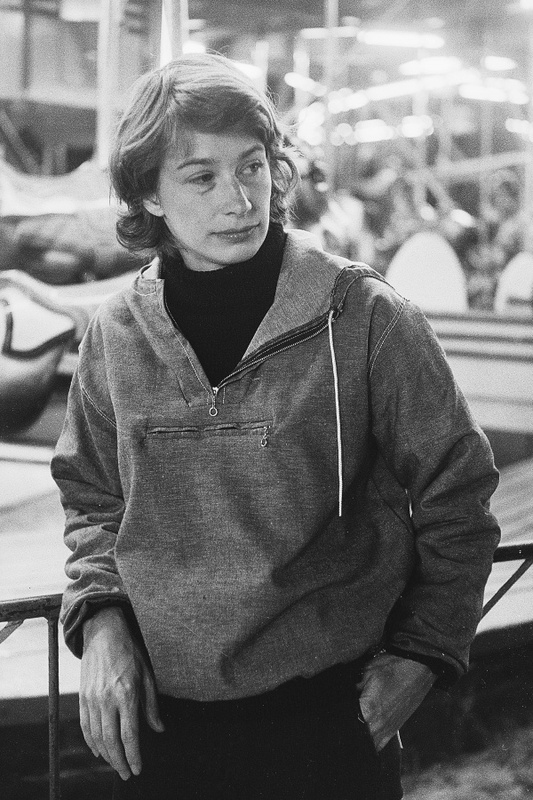 Anyway, just a few weeks ago, a dear friend persuaded me to pick up Mary Oliver and I was blown away by how her words worked. Since then, I’ve read many more of Oliver’s poems–and others’ poems–delighting in the creative and unconventional ways that poets use language to name phenomena. As a (basically) new poetry enthusiast I am incredibly naive–or at least, I think I am. To be honest, I’ve no clue if the stuff I’ve been reading is artistically tasteful or commercialized, easy garbage. My hunch is that, like everything else, developing a sophisticated sense of what is “good poetry” and what is “bad poetry” will take time, discussions, and experience. Nevertheless, I’m not about to let my self-awareness ruin the early and awkward stages of a burgeoning interest. The implications of this are many, not least of which is the conclusion that Christians must be a people who renounce the “illusion of omnipotence”–that is, granting effectiveness priority over faithfulness. In so doing, we simultaneously learn what it means to “live out of control.” Because Jesus of Nazareth has already redeemed creation, the church truthfully understands its role as a fortaste of the peaceable Kingdom–as a patient witness to the reality of Christ’s death and resurrection which grants us the time necessary to justifiably renounce violence. Thus, the Christian is uniquely able to “love what is mortal / to hold it” and to “let it go.” All of this, that is, until we reach the the other side of Oliver’s unknowable river. 1. Yeah, I’m actually quite tempted to argue that it’s all theological.